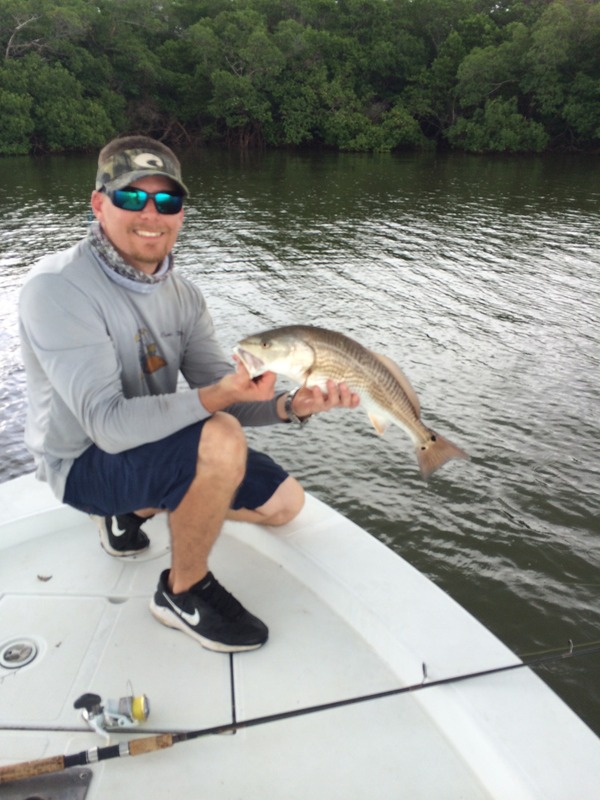 On my fishing charters this week anglers have seen some of the best fishing of the year. They have been fortunate enough to have timed their trip around what is easily the best opportunities to catch multiple fish species in high numbers. As anticipated i have focused on Redfish and there is still plenty of them around and willing to eat anything from an artificial lure to live bait. I have been using pinfish with the best success. Don’t bother using a cork to hang the baits if you’re around the bushes fishing, they have preferred them on the bottom tail hooked. If you are on the grass flats fishing for them then sometimes a cork is best, try them both ways and see which one gets more bites. The bait can be found on the flats with good chum, every trip i have been getting good numbers of pilchards however i have been using them mainly for live chum as the pins have been the best producers. Take a handful of pilchards out of the well lightly crush them and toss them in to the area you plan to fish, If there is any fish in there you should know shortly. Again look for it to only get better in October, Redfish should be around and hungry through November. Get out and enjoy our areas fishing at its finest!